How to Make Unhealthy Breakfast Options Healthier than Ever? A throbbing headache is nothing uncommon in this day and age, when 9-to-5 lifestyles and strenuous work schedules barely leave any room to unwind and catch our breath. Moreover, battling these excruciatingly painful headaches on a daily basis can be time-consuming, provided the remedies are even effective in the first place. Fortunately, utilising the ancient art of aromatherapy for headache relief has been time-tested and a cure that has thousands of advocates across the globe. While all of us share a common hatred for headaches, the reasons behind our individual pains may vary. Recent studies have revealed that tension is the most common culprit in cases of headaches. Sometimes, however, headaches are merely symptoms that are indicative of other problems such as in one’s vision, ear canal, nose, and even, throat. It is, thus, never a bad idea to consult a doctor and rule out these probabilities. Of course, migraine pains are no less severe. They have crippled victims as the duration of these headaches can range from a few hours to a couple weeks. Let us, now, look into what exactly aromatherapy is. Is it just another hype (like pumpkin spice lattes) or is it a legitimate remedy? You know how the smell of cotton candy makes you happy because it reminds you of the carnival, whereas the stench of wet earth reminds you of a funeral on a rainy day? That is the power that different fragrances have on our psyche. Aromatherapy, alternatively called essential oil remedy, is a practice that extracts oils from 100% plant-based materials and these oils are applied in a number of ways to alleviate mental as well as physical discomforts. How do these oils cure headaches? The benefits of aromatherapy oil for headache are largely dependent on the method of application. The procedure has two steps: the oil needs to be, firstly, applied to the body. It interacts with the skin, and gets absorbed, thus, beginning the internal physiological healing. The inhalation of the aroma is an equally important part of the process. As mentioned earlier, since stress is the leading cause of headaches, the smell causes the mental pressure that you are experiencing to gradually fade. You will need to undergo these sessions regularly and frequently, depending on the severity of your problem, to experience its benefits. 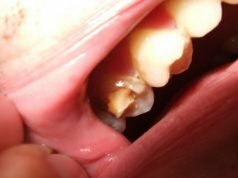 Just as the remedy for a cold is different than the one for a broken jaw, the oil used for the application, the method of application, and the time required for the healing to begin and be completed depends on a patient’s specific case. Aromatherapy is a precise science and, hence, it is improvised as per the requirements of the person seeking its help. Two broad categories of oils can, generally, be found in sessions of aromatherapy- essential oils and carrier oils. Usually, some combination of the two is used in an appropriate proportion to heal the patient. Here, we are going to focus specifically on the oils that can be used in the form of stress headache instant cure. Although the common effect of these oils is to cure headaches, each one of these oils have a lot of other positive impacts that can be used to recover from a host of other problems, as well. By far, the most popular choice of medicine for people seeking aromatherapy for headaches is lavender oil. This is because the oil extracted from lavender plants is a rich source of linalool as well as linalyl acetate, two compounds that have been proven to possess calming properties, thus, being touted as a truly effective cure for anxiety, panic attacks, stress, insomnia, depression, among quite a few other disorders. Moreover, the two compounds seep into the skin with relative ease and lead to a slowing down of the activities of the central nervous system. Besides, it helps enhance the amount of serotonin in the system. Serotonin is your body’s natural painkiller. You will often find lifestyle magazines and social influencers promoting the consumption of chamomile tea. They claim that a cup of chamomile tea before bed allows them to sleep well and without interruptions. Chamomile oil also has the same effect, thanks to the presence of a compound known as isobutyl angelate, a form of ester, which serves as an anxiolytic agent and sedative. It is best to apply this oil a little while prior to bedtime, since it takes a tad bit longer to get absorbed into the skin. It is imperative that these oils get to remain on your skin for a minimum of 8 to 10 hours at the very least before you proceed to wash them off. While lavender and chamomile oils put you to rest by tucking in your nervous system in bed for the night, rosemary oil functions in quite a contrary manner. It reduces inflammation in the brain, thereby curing your headache, by stimulating and engaging your brain cells. This implies that you become more awake and agile, always mentally sharp and on your toes. This is the sole reason why it is such a common choice of aromatherapy patients, who lead strenuous lives, and as such, cannot afford the extra hours of sleep every night. This variant of oil can also help you deal with tummy problems, such as acid refluxes and general indigestions that can also be caused as a result of prolonged stress and unhealthy lifestyles. Remember how a bad cold gave you those searing headache for days on an end? Well, these occur because of the nasal passage being blocked, which means that your sinuses are also blocked. Eucalyptus oil helps cleanse your nasal system of all its accumulated obstructions and toxins. This not only helps remedy your headache and breathe better, but also reduces chances of infections or other bronchial diseases taking place in your nasal tract, owing to its antiviral, antimicrobial and antibacterial powers. The best method of applying eucalyptus oil is to administer it directly on the skin overlying the regions where the pain is taking place. First and foremost, it is to be noted that peppermint and spearmint oils can be used interchangeably. If you have ever applied muscle relaxing sprays on your calves or shoulders, you will be able to equate the cooling impact that you felt to that of the mint component in these oils. These are perfect for those who are on their feet for the majority of the day, such as the likes of athletes, cabin crew, and others. Peppermint oil amps up the circulation of blood in your body, inadvertently, relaxing your muscles. Yet another reason why this wonder oil has become so popular in the past couple years especially, is because of its low price in comparison with other oils. Not as popular as its counterparts, Helichrysum oil, obtained from the stem of the plant of the same name, is just as effective, however, in actively alleviating and cancelling severe, chronic headaches. One of its primary constituents happens to be Neryl acetate, which is an excellent option for relieving headaches as well as other kinds of chronic pains as well. In fact, this is not just an oil that cures headaches, but also a range of other skin related problems that include but are not limited to the likes of pimples, acne, dermatitis, boils and carbuncles. 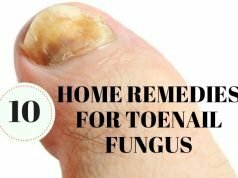 The reason why it works so well on all these different physical pains and problems is because it is touted as one of the best antibacterial agents in the world of aromatherapy. One of the best headache natural treatment available in the market happens to be a bottle of sweet basil oil. Like rosemary oil, this variant of essential oil is also quite useful when it comes to increasing mental alertness and sharpening the senses. It enhances activity in the circulatory system and makes for rejuvenation of the muscles and ligaments in your body. As a remedy for headaches, sweet basil oil can be used as a multipurpose oil. It controls, treats and prevents all kinds of headaches- stress-related, migraines, those that originate in the sinuses, allergies. It does not stop there; even, neurological discomforts can be treated with regular and prolonged usage of sweet basil. How To Choose Your Oil? As mentioned earlier, the oil that is ideal for one patient will vary from that of another. It is, thus, of paramount importance that you go through all the properties of a particular oil before administering it to yourself or somebody else. Generally, there is no wrong choice of oil in aromatherapy and the worst that could happen is that your sessions will not yield any advantages in your favour. However, choosing the right variant of essential oil to apply can benefit you by not only battling your headache, but also other diseases that you might have at the same time. It is, therefore, always a wise idea to visit a professional with proper credentials and experience in the field, prior to starting self-therapy sessions to decide which essential oils is best for you. Of course, the most convenient and well-known method of applying essential oils is topically, by massaging it on the surface of the skin until it gets absorbed into it. It is also the most widely used method. 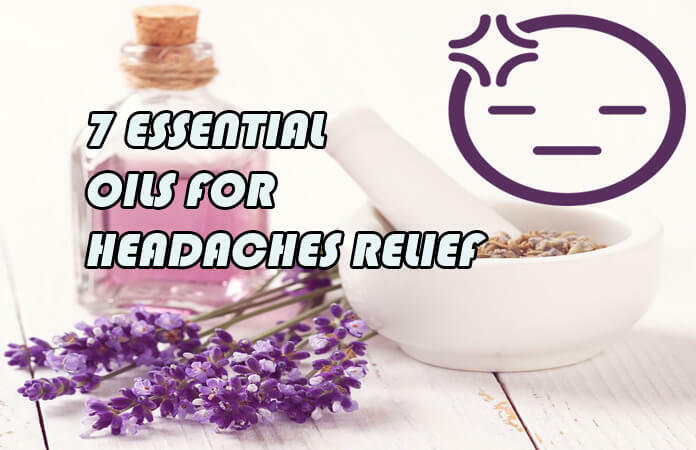 However, there are a host of other procedures available such as essential oils for headache diffuser, sprays, smelling salts, candles and even, roll-on applicators. It is not always possible to take an hour out of our busy schedules and find somebody to provide us with a massage, which is why these new methods of applying these oils are not only easy, but also portable and consume far less of our precious time. It is completely wrong to pit essential oils and modern medicine against each other. In fact, the two streams of medicine should interact and improve one another. Aromatherapy is not an alternative form of healing that has emerged in recent years, it has been around for centuries. Hence, its effectiveness, although not as widespread and common as that of modern medicine (although this can be attributed to a lack of research and funding in the field), has stood the test of time. Advocates of aromatherapy argue that this form of healing, being organic and completely natural, lacks many of the side effects that modern medicine with its dependency on lab-produced chemicals can have on patients. It is a gradual and dynamic process that requires patience and consistency from its practitioners. Just as in the case of modern medicine, aromatherapy should also be administered only with the approval of trained therapists. In conclusion, chronic headaches are not something that is to be taken lightly. It might be symptomatic of bigger problems. However, many complaints against the ineffectiveness of conventional medicine in curing this menace have been charged. Aromatherapy seems to be the new answer that this era is looking forward to.